With savoury and vegetable-based cocktails hot for 2016 -2017, we came up with the ‘Brunching 1800 Ways’ campaign for 1800 Tequila, to encourage consumers to build their own Bloody Marias with brunch. 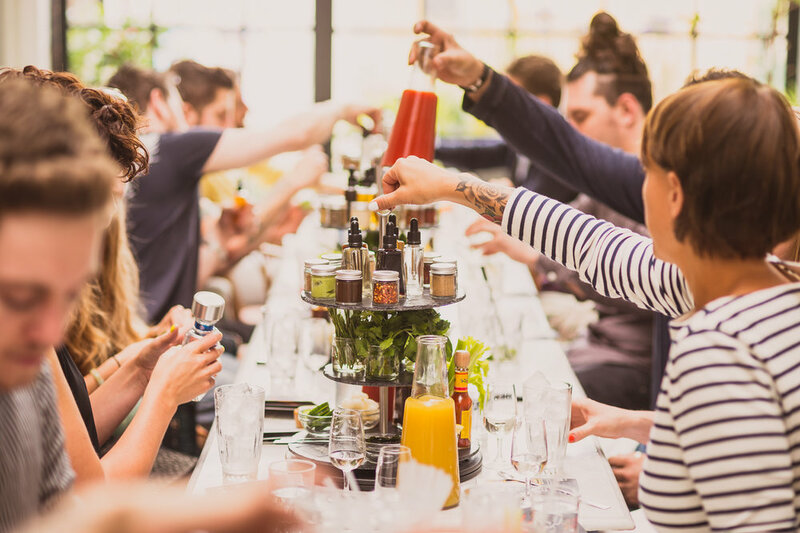 One element of the 360° campaign was the creation of the 1800 Brunch Carousel - a premium interactive serve to encourage customers to concoct their own Bloody Marias at the table. The three-tier slate stand holds 27 on-trend ingredients alongside a recipe booklet featuring ideas for six variations on the Bloody Maria. 50 units have been delivered to super premium food-led premises.